It’s the end of the year! Now is a great time to sit back and take a look your small business. Do you know what is working – and what isn’t? You might have strategies and processes in place that are hindering growth. Read on for more information about what could be holding you back and what you can do about it. When is the last time you Googled your business? You might be surprised when you come across online reviews of your services or products. No matter what type of reviews you uncover – positive or negative – it’s important to be aware of them and address if appropriate. Yelp, Google Reviews, Consumer Affairs and TrustPilot are just a few places you can check and respond to reviews. Online reviews are a great marketing tool. 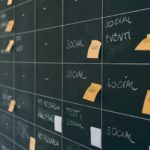 If you’re not seeing good reviews out there, our post about capturing positive reviews has ideas you can easily implement. When was the last time you sat back and took a comprehensive look at your website and social media channels? Scheduling an audit every 6 months or so can help you identify where you need to update copy and images. Keeping your brand consistent online is an important component of your overall marketing plan. Do you need outside funds to hire employees, purchase additional inventory, increase marketing or more? It’s important to note that small business loans are NOT created equally. There are lenders out there that have an easy application process and promise funding in a day or two. Unfortunately, that convenience comes at a steep price. The short terms and high rates of some loans can do more harm than good. If you’ve determined that low-cost funds could fuel growth, consider an SBA loan. An SBA loan is the best bet for small businesses with low rates, long terms and low monthly payments. Visit SmartBiz Loans® today and discover in about five minutes if you’re qualified to apply for an SBA loan with one of our bank partners. Use the promo code “blog” and receive $500 off of your closing costs. Not convinced? Check out our great reviews from real customers on TrustPilot! 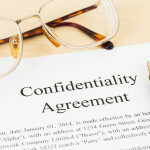 Does Your Small Business Need Non-Disclosure Agreements?